Welcome! 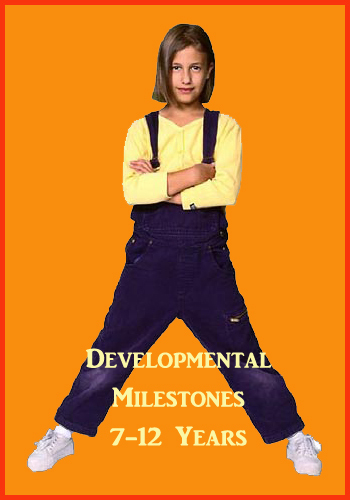 I'm your guide on this exciting, educational journey through your child's developmental milestones. We will start this journey from the moment your baby is born and be near the end of it by the time your teen is about to enter adult life. I will give you a full guided tour of the 6 child development stages. Whenever we reach a milestone that you want to know more about, e.g. newborns, babies, toddlers, young kids or older kids or teens, you can just choose stop the tour, dive in deep into your chosen child development articles and learn all there is to know in full detail. The approach you will get here is scientific. I will pass on well-researched information and be drawing from high-level insights from famous child development theories. A reflective discussion about the issue of child development itself. How to approach it and which mindset to use! An introduction to the three main categories of child development! A quick summary of the most important, influential and famous child development theories featuring Sigmund Freud, Erik Erikson, Lawrence Kohlberg, Jean Piaget, Urie Bronfenbrenner. A last but not least a list of development stages going from newborn development, baby development, toddler development, early childhood development, later childhood development and to teen development. 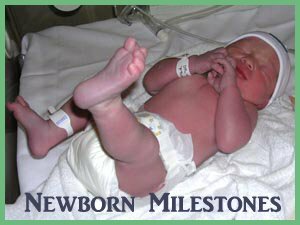 Milestones, Exciting Births of New Abilities! For generations parents and caregivers have been using scientific developmental milestones as an easy tool to measure their child's growth and progress. 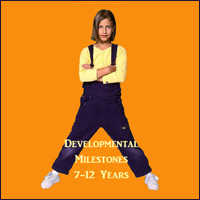 Every age, or stage of development, can be characterized by certain achievements or abilities that most children are expected to acquire during this time period. However, depending on which doctor, theorist, or child development expert you listen to, these stages can be very broad or quite narrow. For your own peace of mind, I sincerely recommend that you choose to go with the broad ones. By this I mean that you take the age attributed to the specific milestones with a rather large grain of salt. Stages apply to the idea of "the average" child which may not include your unique child. If you are told by someone or read somewhere that every child should have the ability to sit unsupported by the time they are six or even eight months old, and your child doesn't yet, there is most likely nothing at all to worry about. 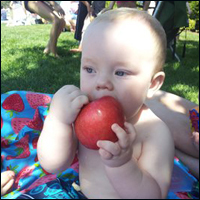 If your child is otherwise healthy, he or she will get there at his or her own pace. Most likely your child has a focus elsewhere, developing other perhaps more subtle less measurable skills and is probably not interested in that particular skill yet. For instance, I remember my son being a bit slow to reach out for toys as a baby. However, considering the fact, that he wasn't interested in toys, only human faces, interaction and communication, why should he then! Milestones can be good guidelines. They may help you recognize obvious delays that may indicate a more serious issue. However, milestones are not carved in stone. While books, websites, and developmental psychologists can give you information about developmental milestones and children in general, they cannot tell you about YOUR child. Even though children move through the stages and reach milestones in a cumulative fashion with a recognizable pattern, the speed of this process can vary greatly. On woman was concerned because her son was two and half years old (30 months) and still not toilet trained. In her mind, this was unacceptable. Her first child had achieved this milestone at 18 months, and all her friends and family were aghast that her little boy was "still wearing diapers". She tried everything from rewards to discipline, but nothing seemed to work. Finally, in desperation, she took her son to the doctor, sure that there was some medical reason for this delay. The doctor's answer to her concern was, "Relax. He will learn when he is ready. I can guarantee that he will not be 16 and still wetting his pants." Another couple reported that they thought their son would never walk. He was quite content to crawl, but showed no interest in walking. At 22 months, he wasn't even attempting to pull himself up by holding onto furniture. The pediatrician told them not to worry, that their baby was strong and healthy, and one day he would be walking so well that this perceived delay would be nothing but a memory. One day, a few months later, their son stood up using the kitchen chair for support. The next day, he took his first step, and by the end of the week, he was walking across the room unassisted. Basically, what typically takes a month to accomplish, he had achieved in less than a week. Rather than focusing on the developmental milestones, your child is probably just being unique and couldn't care less about our mental ideas of the right pace of child development! The Holistic Approaches of Today: Parents Are no Longer "Potters" but "Nurturers"! Even though you might have full faith in your child's development, with so many theories out there, it can still be confusing. Some theorists insist that a newborn is a blank slate and you, as the parent, write their story, while others claim that who a child becomes is a complete result of genetics and there is little, if anything, that a parent can do to change this predisposition. In the past, theories for child development have been fairly rigid, based on parental control, discipline, and expected (or accepted) behavior. Thankfully, a more holistic approach is becoming prevalent, resulting in a shift of perception or ideology. The caregiver is no longer the "potter" who molds and shapes the child into a desired product, but rather a "nurturer" who creates the ideal environment for the child to flourish and blossom. You can read and learn more about positive parenting, attachment parenting and unconditional parenting which are all examples of holistic, child centred approaches to parenting. This segment considers changes in height, weight, and appearance as your child grows, as well as the development of certain physical skills and abilities. As your baby gains muscle strength and co-ordination, she will master specific motor skills such as rolling over, walking, or kicking a ball. 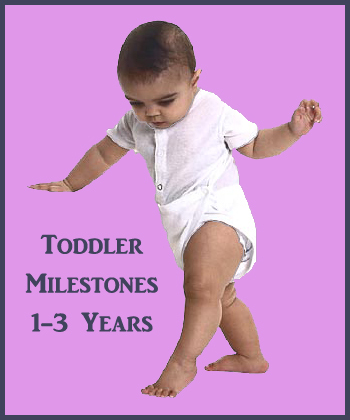 These are considered physical milestones. Typical patterns show that certain skills are grasped within a particular time frame. 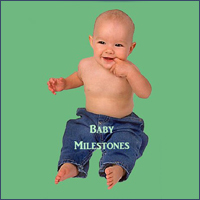 Therefore, physical milestones are assigned to "stages". Keep in mind, though, that each child is unique, and may not always "fit the pattern". 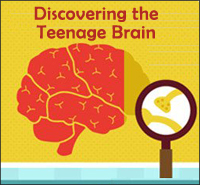 Children's brains are like sponges that are constantly soaking up information from the environment. As your child grows, he will learn how to process and organize all this information. As he becomes more adept at this skill, he will be able to use the information gained to develop conceptual thinking, language, problem solving abilities, memory, and perceptions. This aspect involves your child's ability to interact with others. It considers her growing understanding of her own feelings as well as her perception of, and reaction to, the feelings or emotions of others. This area is extremely important in your child's developmental progress since it is connected to her self-esteem and identity, her moral ideology, and her actions toward other people in her environment. Do Children Develop on a Continuum or in Stages? The Eternal Discussion! So, what are the popular approaches to child development that have established these significant developmental milestones and influenced our way of thinking? It is important to note that some theorists believe children develop on a continuum – growing, changing and reaching milestones at a steady, consistent speed. Others believe that development happens in stages, with periods of significant changes alternating with times of little or no progress. Again, this can depend on the child and it is difficult to say that either theory is right or wrong. Since development involves the interaction of all three components, it could be argued that both points of view are correct. 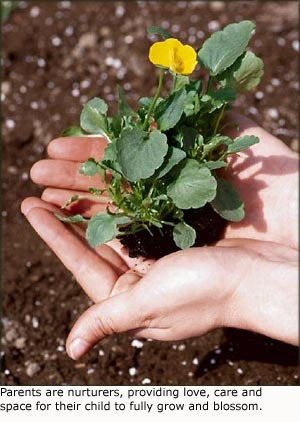 For example, a "growth spurt" is evidence that development occurs in stages. However, just because a child's growth is not physically obvious it does not necessarily mean that no development is taking place. Similarly, if a child suddenly expands his vocabulary from 3 words to 10 words, can it be said that he has "suddenly" moved on to the next stage of development? Or, has he been developing on a continuum, gaining the cognitive and co-ordination abilities necessary for speaking and using language? In this case, it can be argued that progress was continual with the actual speaking of the words being the result of a gradual process rather than the sudden jump to a new level. While this is a discussion that will likely never be resolved, it is important to view developmental theories with this type of perspective. If one adheres too strongly to the "steady and continual" viewpoint, one might be concerned if one does not see constant changes. However, on the other hand, believing only in the "stages" theory may cause one to miss out on those little advancements that are actually building blocks to larger accomplishments. 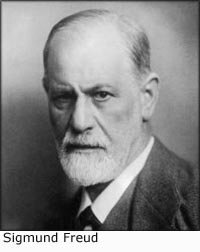 Sigmund Freud has been accused of reducing everything down to base instincts and the need for pleasure and satisfaction. His claim is that a child's Id, and Ego, and Superego are always struggling to achieve a balance. He argued that children must move through certain psychosexual stages in order to become healthy, happy, well-developed adults, and to resolve the conflict between the three different aspects of the personality. The idea that all development is connected to libido and sexual factors is considered a little limiting today. For years, much of the focus was on the physical developmental milestones and little attention was given to the social, emotional, environmental, or cognitive factors. If nothing else, being one of the first explorers into the psychology of children, Sigmund Freud started a progression toward a much needed balance in the field of child development. 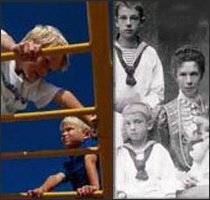 Like Freud, Erikson believed that children pass through important stages of child development on their journey to healthy adulthood. 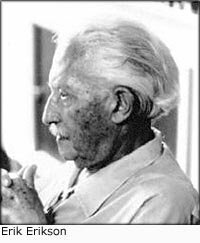 According to Erik Erikson, if any of these stages are missed or incomplete, then a person will experience problems or delays in development. Erikson's main focus was on the powerful effects of the immediate social environments. How a child develops a sense of identity and self esteem in close relationships and how that identity affects his ability to function in society and interact with others. Erikson's theory emphasizes the importance of a parent's role in child development. As your child moves through the stages and reach different milestones, he must receive the proper feedback and responses. For example Erikson says that if during the first "trust vs. mistrust" stage, your baby has all her physical needs met and is given plenty of love and affection, she will learn to trust others and have confidence that she will always be cared for. Contrarily, if she is neglected, she could develop distrust and fear toward those in her environment. Like Freud, Erikson's ideas added a new dimension to the field of child development by showing a parent or caregiver's responsibility to meet the child's physical as well as their emotional and social needs. Kohlberg took yet another approach to child development. Freud focused on the link between sexual stages and development, and Erikson looked at the importance of security and support, but Kohlberg stressed a moral ideology that is based on the concept of right and wrong. A child's decisions, behaviour, and ability to function in society are dependant on his stage of moral development. Let's illustrate what is meant here. For example, a young child will distinguish "right and wrong" based on consequences. We have a situation where a child is tempted to through a toy but doesn't! The reason why the child doesn't will determine his stage of development, according to Kohlberg. A toddler may choose not to throw a toy at another child because he knows that the parent may take the toy away as a punishment for being disobedient. This is called Level 1, the obedience and punishment orientation. However, as the child grows and matures, he may decide not to throw the toy because he understands that it could hurt someone. Now, his decision is not based only on punishment but also on the effect his choices will have on others. In this stage, selfishness is overridden by relationship. Thank You Kohlberg, for Introducing the Idea that Individual Actions Are Born in-between Self and Social Needs. In many ways, Kohlberg introduced the idea of personality and development being directed by a moral compass that is influenced by society's expectations as well as the individual's perceptions of right and wrong. According to Jean Piaget, children develop by interacting with the world around them. Therefore, the more interaction they get, the better developed they will become in their thinking. 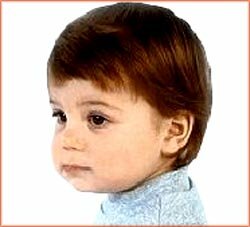 Piaget focused extensively on cognitive development, looking at how a child learns to speak, reason, think abstractly, and acquire problem solving skills. Thank You Jean Piaget, for Pointing out the Children's Brains Work in a Different Way than Adults'! 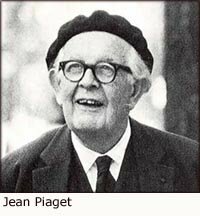 Even though Jean Piaget has been considered too focused on age and achievement he is applauded for actually pointing out that the measuring stick used on adult brains cannot be used on children. Also Jean Piaget's theory criticized the idea that "children should be seen and not heard", but rather encouraged parents to include their children in all aspects of family life. Like Jean Piaget, Urie Bronfenbrenner states that everything in a child's environment effects how he will grow and develop. However, the Ecological Systems Theory takes it one step farther. Piaget talked about interaction between the parent and child, while Bronfenbrenner expands the environmental factors to include a broader scope - everything the child is connected will affect its development in some way shape or form. He believes that a child's development is influenced by a combination of social factors including the child, the family, society, economic conditions, and the political tone of the times. For example, a child can receive a lot of positive feedback and encouragement from his parents, but if a mother's relationship with her co-workers is strained or if financial pressures are creating stress in the home, these issues can affect the way a child perceives the world around him. Similarly, a child growing up surrounded by war or oppressive cultural views could also influence the stages of development, particularly socially and cognitively. Thank You Bronfenbrenner for Introducing Multifaceted Influential Factors in Child Development! The word "holistic" comes from the Greek word "holos", meaning total or complete. Basically, this theory promotes the idea that "the whole is greater than the sum of its parts." It recognizes that development is contingent on a lot of different factors including physical, emotional, relational, spiritual, environmental, and educational. Since all aspects work together, a problem in one area can impact all the other areas. Therefore, a delay in cognitive development could be a result of a social or physical problem. Like Urie Bronfenbrenner, this theory suggests that a broad scope of factors could influence development such as income, parental education, health care, family relationships, parenting style, housing, media, and a child's individual personality. To help our children develop healthily, it is a good idea to pay attention to all parts and how these parts affect the whole. 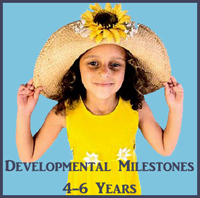 What follows is a list of 6 child development stages. Within each section, you will find a link that will take you to an in depth article where you will find lots of interesting developmental milestones for that particular age and stage of child development. As your baby emerges from the safety and security of the womb, he will spend the first month of his life adjusting to his new environment. He will use his many reflexes to develop his motor skills and strengthen his muscles. His five senses will help him interact with his new world, and it won't take him very long to recognize your unique scent and the sound of your voice. By the end of the first month, he will even be able to interpret the various nuances and pitches of your voice, laying the foundations for the conversational skills that will develop throughout the coming years. And, for a newborn, he is remarkably capable of communicating his needs. Within the first week or so, you will know exactly what he wants – when his hungry, when he is wet, and when he wants your love and attention. Although he is driven by needs, he is soaking up your affection and learning how to trust. 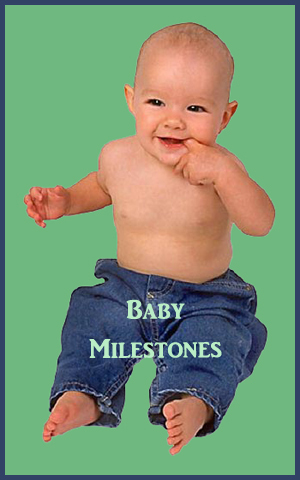 Read about infant milestones on this page. The first year of your baby's life is an important time for building personality and laying the foundation for healthy self-esteem and self-confidence. She will take her cues from you, and her moods will often reflect yours. She will be able to sense tension, know when you are unhappy and seem calm when you are relaxed. 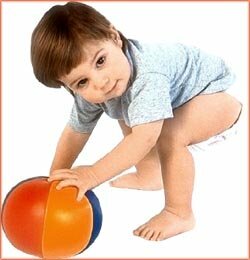 During this period, your child will gain a lot of muscle strength and coordination reaching many milestones. She will learn to hold up her head, roll over, sit on her own, crawl, and maybe even begin using furniture to pull herself up into a standing position. Her new ability to travel will make her very adventurous and she will constantly want to explore the world around her. She will still use her senses to learn about her environment, and will become much more adept at communicating verbally using babbling, syllables, and then simple words. This is also the stage for the development of object permanence and the appearance of separation anxiety. She will experience growth and change that will not be matched until she reaches her teenage years. The toddler years are fun and exciting. This is when your child will learn how to play, communicate effectively, and gain independence. You will hear a lot of "me do it myself" and you will get a lot of hugs and cuddles. Your child will explore the world bravely, but will still want to come back to you as a secure base. As coordination improves he will reach the milestones of learning to kick and throw a ball, climb up stairs, and even use the television (probably better than you!). He might become easily frustrated and may have temper tantrums, but he will also be excited to make new discoveries and be proud of his emerging independence during these years of development. As you wave goodbye to the perhaps turbulent twos and the challenges of toddlerhood, your child will now be ready to take on more responsibility during the next couple of early stages of child development. She will reach the milestones of being able to recognize and realize the feelings of others and will begin developing the ability to think beyond her own needs more consistently. This is the stage of "why" and you will be peppered with a continual string of questions. Your child's inquisitive nature will help her learn about the world and develop social skills. She will begin to build friendships, engage in play-acting, and start expressing a sense of humor. Of course, increasing independence will still be the focus, and your child will begin doing more and more for herself. This is a fun time to watch as her own unique character and personality begin to crystallize clearer and clearer. During these stages of development, your child will begin to place more importance on friendships. His self-esteem will be challenged based on how he believes he is perceived by those outside his family. This is the time when he will acquire a sense of competence, or the belief that he has the ability to succeed. Encouragement and support are still as important as ever because without these, he could feel that he is inadequate and develop a sense of inferiority. He will enjoy team sports, group interactions, and activities that challenge his abilities. He will daydream, fantasize, and learn how to use his imagination in social interactions. From 7-12, your child's language skills will improve greatly and his physical coordination will allow him to build and create intricate structures or artwork. This is an exciting phase with plenty of milestones. Advancements in physical, cognitive, and social development will help prepare your pre-teen for the next stage ... adolescence. Moving from childhood to adulthood can be challenging, especially when he will be faced with puberty, changing social dynamics, and the need to redefine his identity and find his place in society. Learning how to manage new feelings or emotions while discovering romantic relationships for the first time can be overwhelming. This is the teenage development stage when your adolescent will work to become self-sufficient and autonomous while also realizing their need for intimate relationships outside the family. Becoming less dependent on family and making important decisions about the future might often cause your teen to be argumentative, withdrawn, moody, and sensitive. This is the time when he will work to answer the question, "Who am I and what is my role or purpose in society?" With the development of social awareness, he will begin to see himself as part of the "bigger picture" and you will watch him grow and blossom into an amazing and unique adult! Theoretical Outline, Modern Critique and Parental Advice!